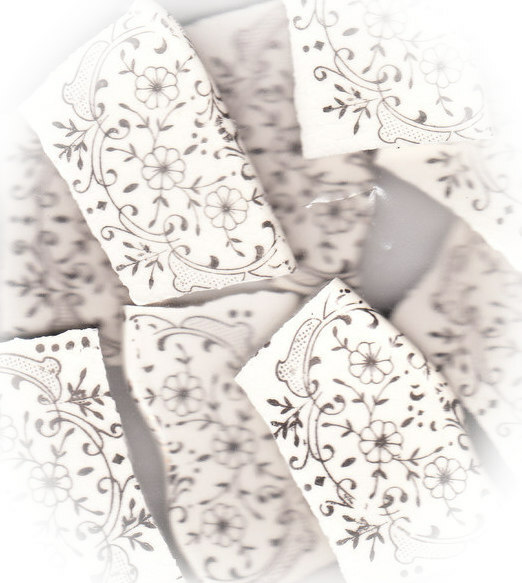 10 tiles from Sabin china plates. Gold filigree on off-white china.ï¿½ All rim tiles. No discoloration, medium all over crazing, lay flat. Tiles average approximately 2.00 wide.